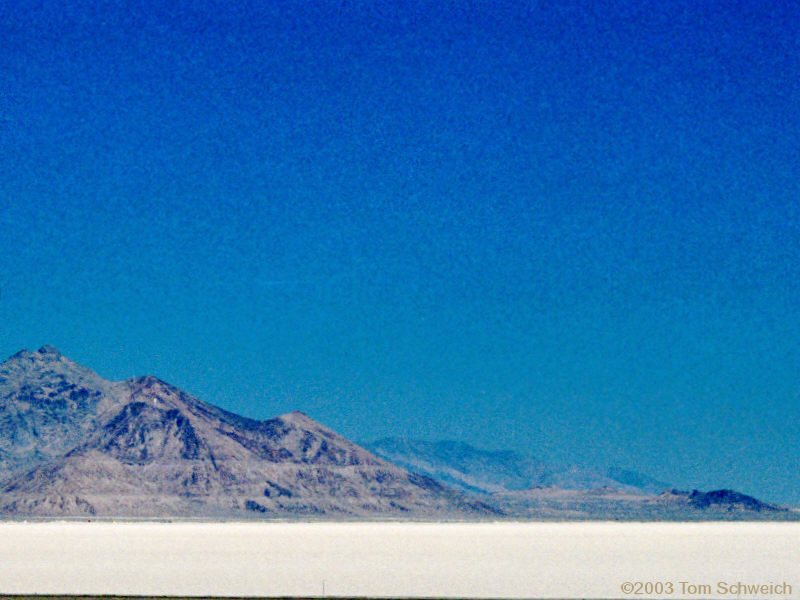 Photo: The Bonneville Salt Flats from the Rest Stop on US I-80. Eastern Mojave Vegetation The Bonneville Salt Flats from the Rest Stop on US I-80. Photograph taken in August 2003. The horizontal lines on the hills in the distance are shorelines of Lake Bonneville.